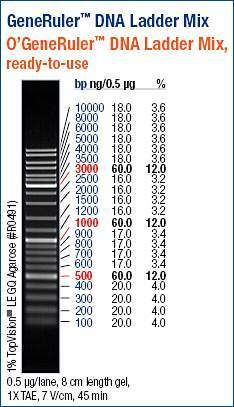 PCR reactions were run on 0.8% TBE agarose gel. The prominent bands seen on the gel all run at the expected size (~1600bp). Will select one of these re-streaked colonies for mini prep on Monday.